We three Colorado Traveling Ducks have been practicing and are now ready to help Santa Claus deliver presents. There will be a full moon Christmas night, so Christmas Eve will also have a bright moon, and we are confident that all packages will be delivered. J B Duck, wearing a red tie, is on the first reindeer. Soapy Smith Duck, wearing a blue tie, is in charge of the second reindeer. Zeb the Duck is riding on the sleigh, wearing his Christmas hat and Christmas scarf. 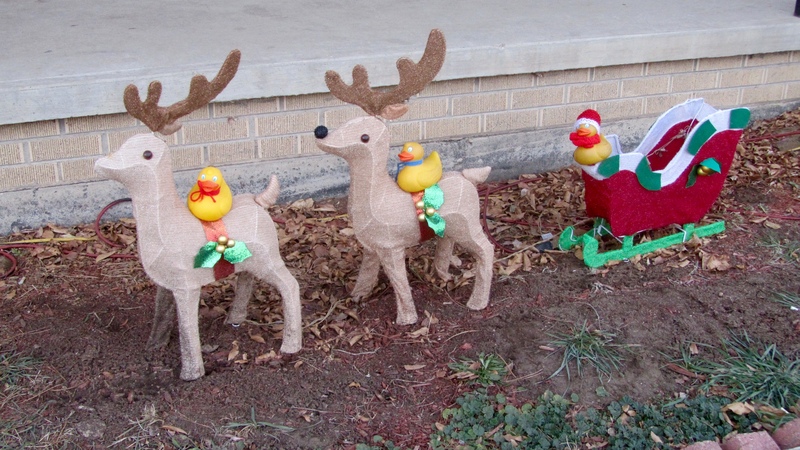 This entry was posted in Colorado, Holidays, Uncategorized and tagged Colorado Traveling Ducks, Ducks helping Santa, Merry Christmas Eve, Santa Claus. Bookmark the permalink.